APO, like every voluntary organisation, relies on hours of blood, sweat and tears from its members. For those of us performing, the approbation of an audience at the end of a concert is the most obvious show of appreciation for the many hours of preparation, practice and rehearsal that have gone into bringing the music to life. Obviously, we don’t just do it for the applause; it’s secondary to the heart-warming, soul-enhancing experience of coming together to make music with friends, and particularly the opportunity this gives for expressing our emotions. Music is about life, after all. It’s almost cliché to point out that there’s a lot that goes on behind the scenes to enable these music-making opportunities. Led by a committee of super-dedicated volunteers, all members of APO contribute to the completion of the many tasks that make it all happen. At the top of the organisation is the chairperson. That was me for the first three years of APO, before I handed over to the force of nature that is Becky Stewardson. Our current chair is a fellow violinist, Emily Bushby. But this post is about the person who held the post between them: Andrew Le Breuilly. Andrew is not a musician. It’s obvious that you don’t have to be a musician to volunteer with APO, but I do find it remarkable that non-musicians are willing to sacrifice their time and effort in support of an activity in which they don’t get to directly partake. Andrew has not been the only person who volunteers without the satisfaction of being part of the performance, but nobody has given more to APO without playing a note than our ‘Rubbish Hero’. 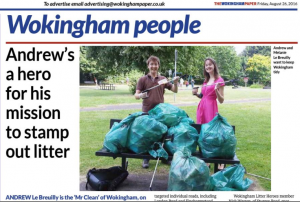 This epithet is, of course, a reference to the fact that Andrew set up the voluntary organisation, ‘Wokingham Litter Heros’, which gave me the chance to write a catchy headline for this post (hat-tip to Phil Creighton of The Wokingham Paper, who used a similar headline, yesterday!). However, there is some truth to the notion that Andrew is rubbish at being a hero, at a stretch. Let me explain: most heros have a high profile – everyone knows about their good deeds and they are rightly celebrated. Andrew doesn’t do this bit of being a hero at all well; he falls into the ‘unsung’ category of heros. He gets on with things, mainly behind the scenes, and seeks only the quiet satisfaction of being an ‘enabler’ – seeing everyone else reap the benefit of his work. This is why he didn’t want a big fuss made of him when he stepped down from the committee late last year, having not only served for several years as chairman, but subsequently treasurer. But the committee agreed that we can’t let him go without at least a little fuss and recognition not just of his efforts, but of his achievements. APO today is a slick organisation. Most things we do are paperless, backed up by an infrastructure of official APO email accounts and electronic resources. Fixing is done by electronic form, and the same platform is used for ticket sales and donations. Being a fully-paid up ‘geek’, Andrew has overseen the automation of many processes that underpin these facilities. These days, using ‘Mailchimp’ to send attractive publicity emails is commonplace, but it was relatively unknown when Andrew introduced us to it. But having attractive publicity emails is no good if you don’t send them at the right time and with the right content. Andrew actually undertook a qualification so that he could write an effective marketing and fundraising strategy that APO still uses to this day – and we are really starting to feel the benefits in terms of driving ticket sales. All of the above is so important for the smooth running of the orchestra and is only a taster of some of the ‘back of house’ activity that enables us to run a complex and challenging operation. It’s only part of the story, though. Andrew is a terrific human being and a strong leader. I’m proud to call him my friend and throughout his time on the APO committee, especially as chair, I leaned heavily on him for emotional support, and he bore with good humour my artistic temperament. Andrew’s leadership saw many projects realised (each concert is a project, really – they’re huge undertakings), but I think the one that should be most celebrated is ‘Pictures at Our Exhibition’, also known as #APOpictures. This was the project that saw us work in collaboration with Reading art organisation ‘Jelly’, to provide six young composers (aged 12-21) with the opportunity to write an orchestral piece in response to a Jelly artists’ work. 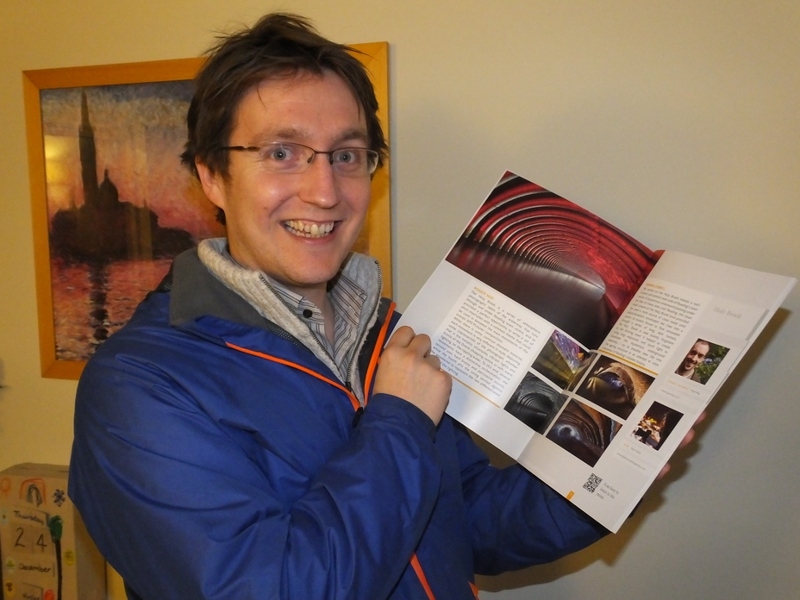 Andrew’s sheer determination was what made this project a resounding success. 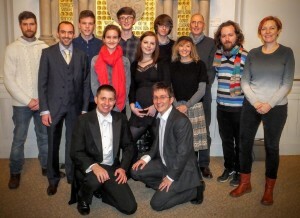 As well as a fantastic concert, it received international recognition in the academic world and contributed to the winning an Reading Cultural Award for one of the composers, Alice Knight. 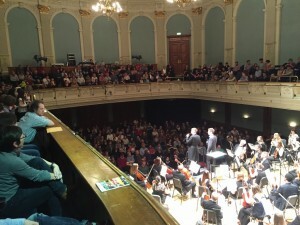 It was such a great moment when I stood alongside Andrew on the big night of the concert, as he introduced the piece. I know he was immensely proud of APO’s achievement, which was in no small way down to him. Reading back through my words, this post almost reads like an obituary, which is wrong on so many levels! Andrew has not left the building, literally or metaphorically. In fact, at the precise time this post gets published, he’ll be in the car park of the Great Hall, with his hi-vis vest on, ensuring people can park and get to their seat safely for tonight’s #APOdesire concert (so, technically, he will be outside the building, I guess). He’s often around at APO, particularly given his lovely wife, Mel, has recently been appointed as our new leader. So, when you see him, please join all of us in thanking him for everything he’s done, and everything he does.